The two mosques in the New Zealand city of Christchurch where a gunman killed 50 worshippers last week have reopened their doors. Many survivors of the attacks were among the first to walk in and pray for those who died. Officials at the Al Noor mosque, where more than 40 of the victims were killed by a suspected white supremacist eight days ago, began allowing small groups of people back into the complex just after midday on Saturday. Prayers resumed in the freshly-painted complex with armed police on site. But there were no graphic reminders of the mass shootings, the worst in New Zealand's modern history. Aden Diriye, who lost his three-year-old son, Mucad Ibrahim, in the attack, returned to the mosque with his friends. Most victims of the shooting, which New Zealand Prime Minister Jacinda Ardern denounced as a terrorist attack, were migrants or refugees. Police said they would also reopen the nearby Linwood mosque, the second to be attacked during Friday prayers last week. New Zealand has been under a heightened security alert since the attacks. Ardern reacted swiftly after the shootings. She introduced a new tough law banning some of the guns used in the 15 March attack such as semi-automatic firearms and assault rifles. She has also launched an investigation into the country's intelligence services after criticism they should have identified the suspected attacker, Brenton Tarrant, a self-identified white supremacist, as a threat prior to the massacre. Earlier on Saturday, about 3,000 people walked through Christchurch in a “march for love”. Carrying placards with signs such as: “He wanted to divide us, he only made us stronger”, “Muslims welcome, racists not” and: “Kia Kaha” - Maori for 'stay strong', people walked mostly in silence or softly sang a Maori hymn of peace. New Zealanders and Ardern have been widely praised for the outpouring of empathy and unity in response to the attacks. Dubai's ruler, Sheikh Mohammed bin Rashid Al Maktoum, thanked Ardern on Twitter on Friday posting a photo of Dubai's Burj Khalifaworld, the world's tallest building. But amid the nationwide shows of unity following the attack, Muslim leaders and Ardern also warned that New Zealand and other countries must confront Islamophobia. 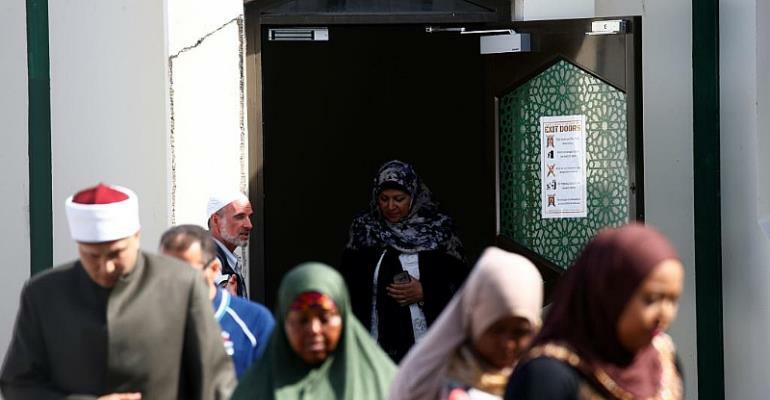 Imam Gamal Fouda told worshippers at Friday prayers in Christchurch that "Islamophobia kills", adding Muslims had felt its pain before in countries such as the United Kingdom and the United States. He said the killing of 50 people at the Christchurch mosques last week did not come overnight. "It was the result of the anti-Islamic and anti-Muslim rhetoric of some political leaders, media agencies and others." And while New Zealand is renowned for its perceived tolerance, analysts have warned Muslims continue to face racism and negative stereotyping. Ardern has said New Zealand needs to confront racism as a nation if it is to guarantee the safety of its minority communities.